Indonesian thermal coal prices were largely steady in a thinly traded market today, with most participants holding back as they waited for more details of a large Chinese utility tender. Chinese state-controlled power utility Huaneng closed a tender at 10:00 Beijing time (02:00 GMT) today seeking to buy 678,000t of imported coal for delivery to its coastal power plants between late March and the end of April. Price details only started to filter through to the market this afternoon. The tender sought coal mostly in a NAR 3,000-4,700 kcal/kg range, as well as two higher calorific value (CV) cargoes of NAR 5,500-6,200 kcal/kg. Most of the low-CV material is likely to be from Indonesia, the largest exporter of lower-CV coal to China, although the utility did not specify origins for the majority of the cargoes. It is unclear how much of the required coal was awarded. But Huaneng may have awarded supply contracts for NAR 3,800 kcal/kg Indonesian coal at 377 yuan/t on a cfr basis to Shidongkou port, which nets back to $39/t fob. 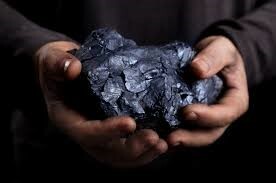 It may have also awarded shipments of NAR 3,800 kcal/kg Indonesian coal at Yn395/t cfr Nantong, as well as shipments of NAR 3,400 kcal/kg Indonesian coal at Yn308/t on a cfr Taicang basis. Huaneng may have awarded shipments of Russian NAR 4,700 kcal/kg material at Yn505/t, also on a cfr Taicang basis. Details of bids, offers and deals in the spot market were scarce today. A view has been developing among some participants this week that prices could be starting to slip, despite continuing weather-related supply issues in Kalimantan and Sumatra. Two April-loading GAR 4,200 kcal/kg cargoes were heard to have traded earlier this week at $39-39.35/t, although further details such as sulphur specifications could not immediately be determined. Argus last assessed prices of GAR 4,200 kcal/kg (NAR 3,800 kcal/kg) coal at $40.50/t on 8 March, up by $2.16/t from the previous week and the highest since early August 2018. The ICI 4 derivatives market was also quiet today after a flurry of activity earlier this week, when 111,000t was cleared on the CME on 11 March. Those trades took the total volume to have traded so far this month to 491,000t and the total since the contract launched last year to just under 2.6mn t.
April ICI 4 derivatives contracts were bid today at $38.30/t and offered at $39/t with Singapore-based brokers. By comparison, yesterday March ICI 4 contracts were offered at $39.90/t, with April offered at $39-39.20/t and bid at $38.40/t. Second-quarter 2019 contracts were bid yesterday at $38/t, while first-quarter 2020 contracts were bid at $38.25/t and offered at $41.50/t. Second-quarter 2020 was bid at $38/t and offered yesterday at $41.75/t. In the Australian market, May-loading Capesize cargoes of NAR 5,500 kcal/kg coal were offered at $57.50-58/t fob Newcastle. That suggests more trades could start to be seen for May-loading cargoes in a market that had previously been focused on prompter shipments. But import policy in China remains unclear and Indian buyers may be unwilling to accept more than around $55-56/t fob Newcastle, as they hope waning Chinese demand will work in their favour. In the Chinese domestic market, offers of NAR 5,500 kcal/kg coal were around Yn630-633/t fob northern China ports. Bids headed even lower to around Yn620/t, on expectations that more mines will reopen soon. In China's futures market, the ZCE May contract closed at Yn592.6/t today, up by Yn3.4/t from yesterday.